Shiseido Perfect UV Protector HydroFresh & BB for Sports - A new take on BB Cream ? When it comes to facial SPFs, I do think it's the most important step in your skincare routine. In the past we used to slather on those thick, white-tinted lotions that makes one look and feel like a gooey mess, but now with new formulas that come with everyday moisturizing to easily absorbed mixes, The new generation Shiseido BB for Sports is something to check out. Let's see if it protects your skin from that harmful UV rays while keeping it fabulous. Suncare with BB Cream ? 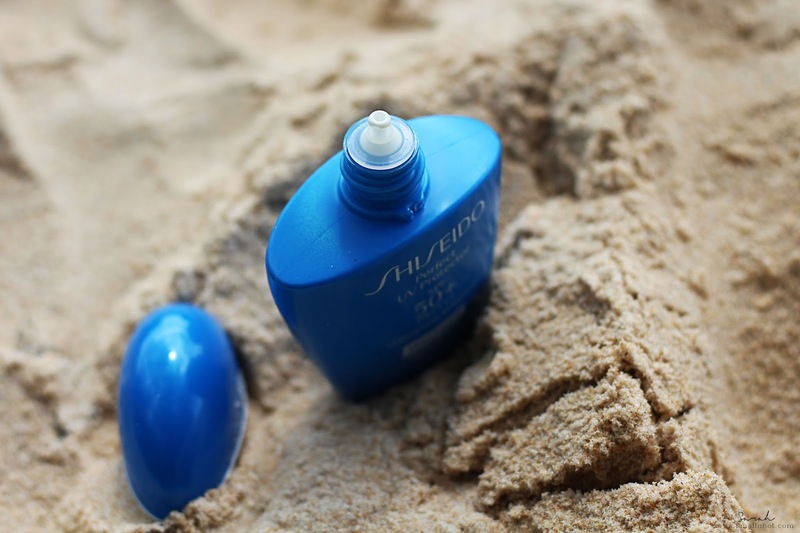 Shiseido BB Broad Spectrum SPF 50+ PA+++ WetForce is an innovative natural-looking, long-lasting and transfer-resistant BB tinted suncreen with Shiseido's Ultimate Sun Protection formula and WetForce Technology for a natural coverage and SPF 50+ protection. You'll LIKE it because it works as a sunscreen and tinted moisturizer to conceal some skin imperfections. You'll HATE it for the limited shade selection. This is what I'm using currently and loving it ! 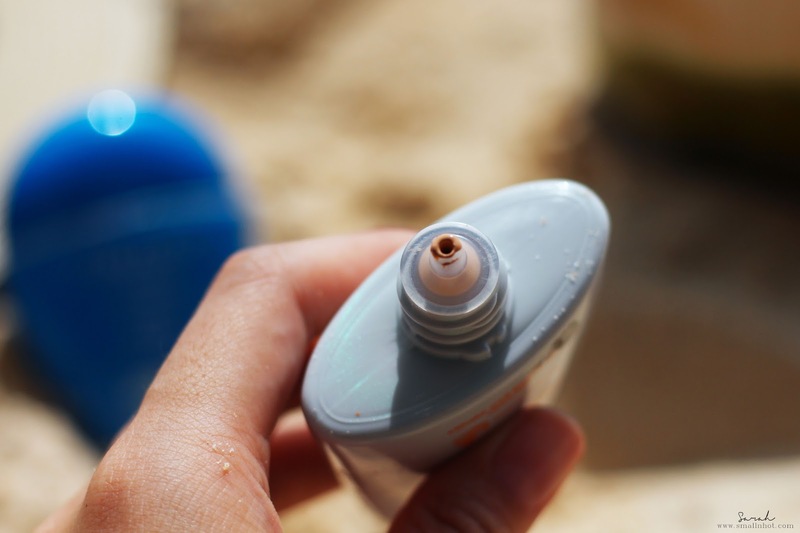 I would say this is not the most 'typical SPF' because it works more than just a sunscreen. It has a beige tint to it that works like a BB cream in giving a sheer coverage to your face. Also you don't feel dry or cakey at all because the formula is extremely hydrating on the skin. However, after 2 hours of application and being under the sun, my face would get slightly oily especially on the T-zone and re-application would be needed. So if you like something that works as a sunscreen and also giving some coverage, then this is one to add to your 'to-get' list. This is a great one for the gym too when you can't put on any makeup yet still want to look flawless. 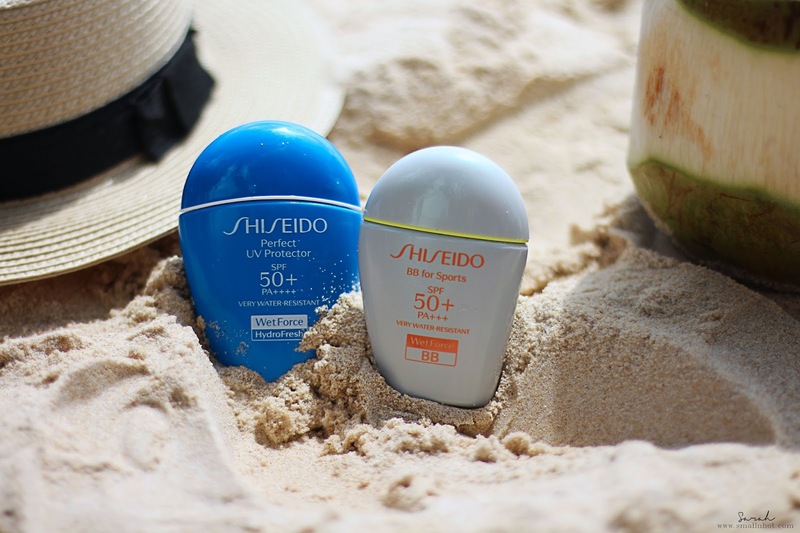 Shiseido Perfect UV Protector SPF 50+ PA++++ WetForce HydroFresh is a water-based sunscreen that can be used comfortably even on the skin sticky from water or sweat. You'll LIKE that it's very lightweight and blends into the skin seamlessly.